Check out these blackberries! They are sooooo good - I practically ate most of them today during lunch! Now let's see some goods from other bloggers - we've got two today! 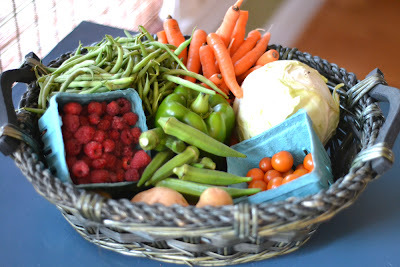 Carrots, Haricots verts, Green cabbage, Bell pepper, Okra, Cherry tomatoes, Tomatoes, Potatoes, Raspberries! I'm jealous of all the okra Mindy keeps getting! And I've been seeing gooseberries all over the place - and Sam does not disappoint because she made this awesome jam out of hers! It's a hot one today, so our softball game got cancelled (so that's why this post is not being done right before I go to bed!). Glad that Mindy and Sam could join in on the fun - be sure to check out their blogs to see what they do with their goodies! See you tomorrow guys! Remember, it's Friday! Woohoo! 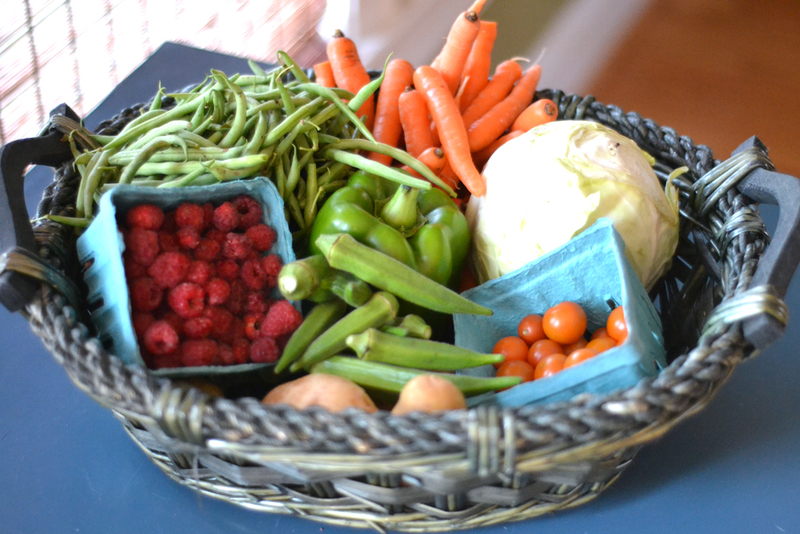 ***If you guys received a CSA this week, what did you end up getting? I'd love to have a weekly round-up of your CSA goodies (if you participate in one), or even if you made a weekly visit to your Farmer's market (or even just picked from your own garden!) - I'd love to see the local produce everyone gets! So feel free to e-mail a snapshot of your goods (as well as your name and blog title (and don't worry if you don't have a blog, your name will be just fine!) as well as a link to your blog) at mtlabor85 (at) yahoo (dot) com and I'll post them in next Thursday's CSA post! 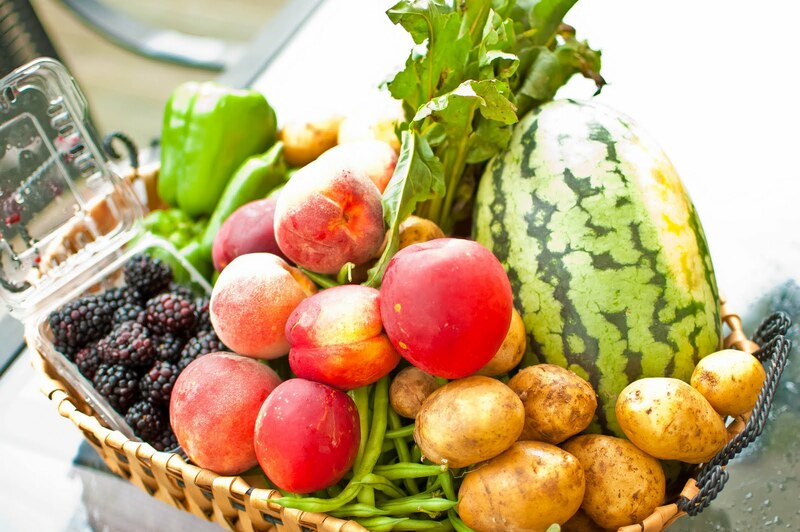 You are inspiring me to sign up for CSA :) Those fresh fruits and fresh vegetables .. lovely . I don't receive CSA because I can't find out how to sign up in Kansas City, I'm so frustrated by it because you and so many others have such wonderful looking produce!! Woo hoo! Love that you got a watermelon! I totally forgot to send mine. ARGH! Hopefully for next week. I love seeing everyones CSA! I can't wait to see what you make this week! 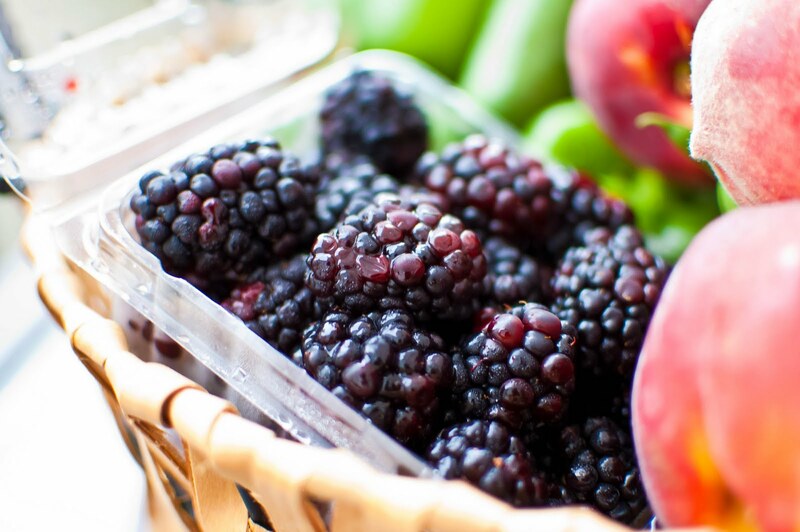 This week I will choose the adorable looking blackberries Peggy, wish I can find the same here at Malaysia. The blueberry and raspberry look very fresh. Red current is so expensive in Australia and we have strawberry in season now. A Special Day & A Special Guest Post!